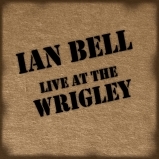 Live at the Wrigley, available April 11, showcases Bell’s tastefully-understated guitar style, expressive lyrics, and dynamic singing. (Santa Cruz, Ca.) A singer-songwriter with a poet’s heart and a workingman’s delivery, Ian Bell has been making a splash as of late in the Bay Area, including a performance at the recent Ted Holladay Roast and an appearance on KSCO radio. 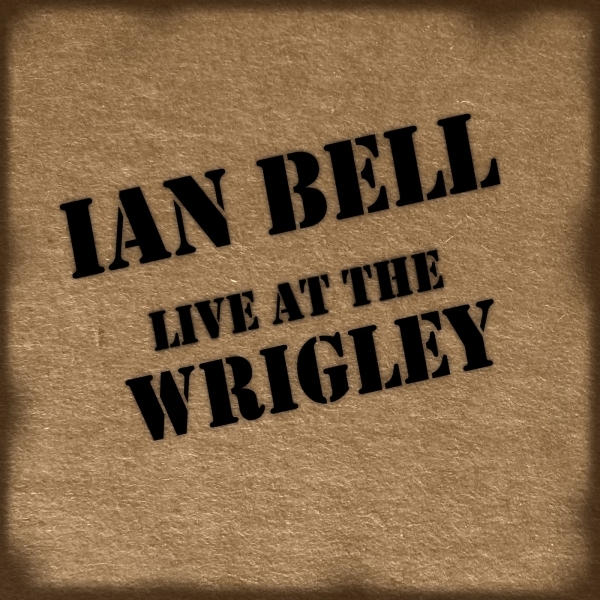 His new, digital-only album, titled Live at the Wrigley, sees Bell in top-form as he showcases his tastefully-understated guitar style, expressive lyrics, and dynamic singing. Mixed and mastered at Gadgetbox, Live at the Wrigley balances Bell’s storytelling ability with his stark instrumentation, leaving plenty of room for the songs to move and breathe. On the album, he navigates skillfully through the emotional and metaphorical landscapes of love, longing and home. A product of Santa Cruz by-way-of London, Bell draws inspiration from the likes of Tom Waits and Bob Dylan, there is something extraordinary in the way he crafts layered and timeless songs, with minimal instrumentation, using the ebb and flow of his voice which ranges from whispered confessions to room-filling proclamations. His traveling-light aesthetic allows Bell to play venues that larger acts couldn’t including warehouses, art studios, movie theaters, coworking spaces and restaurants. Now managed by Matthew Swinnerton of Event Santa Cruz, Bell is well-positioned to make a unique musical mark on Santa Cruz, the Bay Area, and beyond. His next performance is on April 12 at the Crepe Place in Santa Cruz, Ca. Originally from West London, but now residing in Santa Cruz, California, singer-songwriter Ian Bell’s second EP “The Day You Stopped Dancing” may draw inspiration from classic American singer-songwriters like Bob Dylan and Tom Waits, but his style remains very English, and seems equally informed by Richard Thompson at his most strident, the outsider genius of Kevin Coyne, Peter Hammill’s solo venting and post-punk acolytes such as Kevin Hewick. It’s incredibly effective. The instrumentation is kept to a minimum, allowing Bell’s voice to ring out clear and strong. Though consisting of only five tracks, “The Day You Stopped Dancing” clocks in at close to 30 minutes in length. Bell’s uncomplicated approach to the backing allows space to stretch himself as a songwriter, and both “If This Is What You Get” and “Springs” are close to seven minutes long; the former wouldn’t have sounded out of place on an early ‘80s Cherry Red compilation and the latter is the sprightliest tune on the record, and closes proceedings most satisfactorily. The song I return to most frequently is the title track, its arresting imagery, vibrant arrangement and bone-dry delivery is something worth taking the time to engage with properly. http://ianbellacoustic.com/ Simon M.